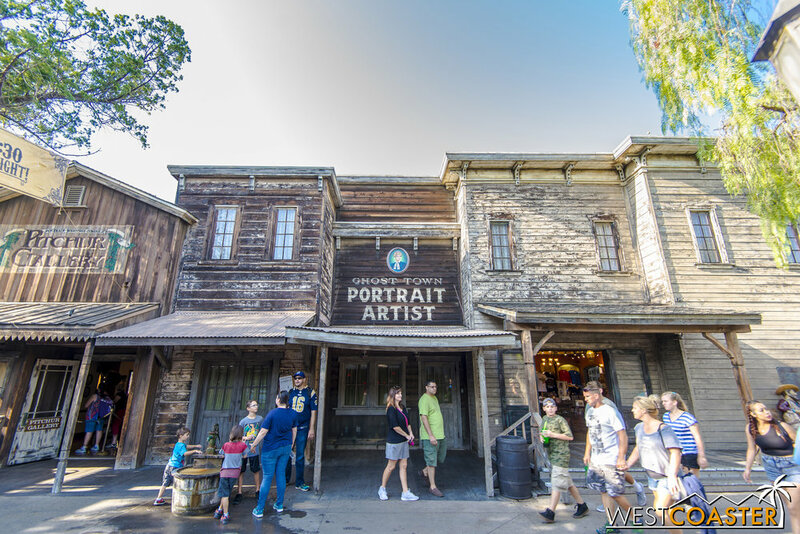 As long as we're spending some time at Knott's Berry Farm, why not take a broader look at Ghost Town? Yesterday, we devoted plenty of attention to the marvelous Ghost Town Alive! experience, but the improvements to this area haven't been limited to the theatrical sort. Pretty much everything has undergone refurbishment sometime over the past few years, and the result is a fantastic looking and fully immersive area that really brings guests back to the days of the Old West. Lets take a look at the general atmosphere and architecture! It doesn't hurt that a lot of these photos were taken during golden hour, which offers the best light for photography, but honestly, even without it, Ghost Town dazzles. The facades have a gritty, rich texture, and the rustic feel of the Ghost Town streets really adds a pioneering vibe to the area. These photos show a far cry from the dark, sinister corridors of Ghost Town Streets during Halloween Haunt, but you can't look at this and say this little area isn't as immersive as a Disney park. Hop Wing Lee remains missing. Ghost Town sure could use a launder soon! 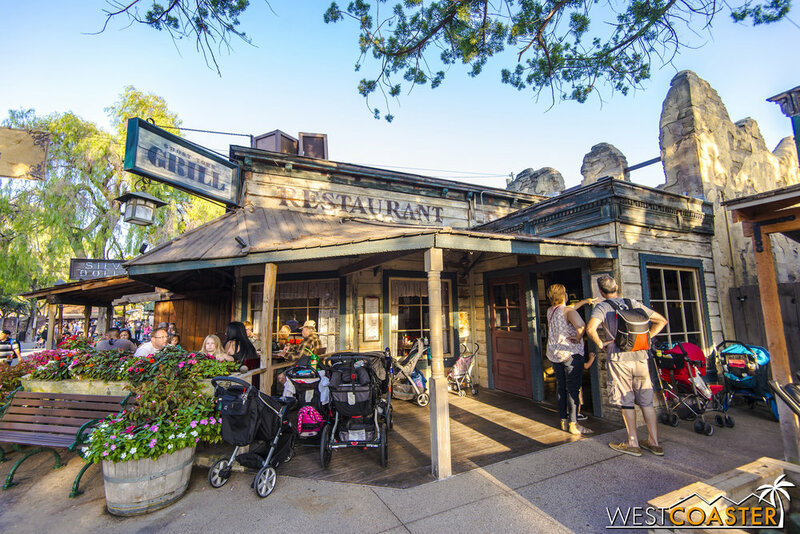 During Haunt, the Boot Hill Undertaker building has a much different feel. But during the day, it's rather welcoming! Wandering over to the Boot Hill Cemetery area. Remnants of when this area faced the Haunted Shack and was a lot more off kilter. The Calico Saloon is a great place to catch some dancing girls, but more on that later. Looking down the path across from Indian Trails. Glancing up the other way. Again, come Haunt, this is the area known as Fog Alley. But off spooks season, it's just the spot outside the Pitchur (Picture) Gallery. Moving up toward the Blacksmith's shop. The shooting gallery across the way offers some fun target practice for those willing to shell out $3 for a game, or $5 or two. 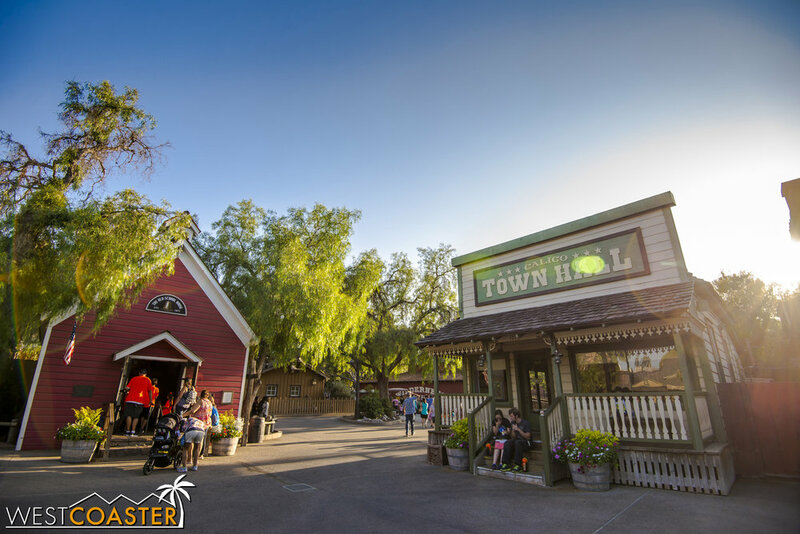 The historic Schoolhouse and the Calico Town Hall, formerly the Haunt Museum. And right around the corner is the Bird Cage Theater, another old structure. Golden hour upon Ghost Town is lovely. 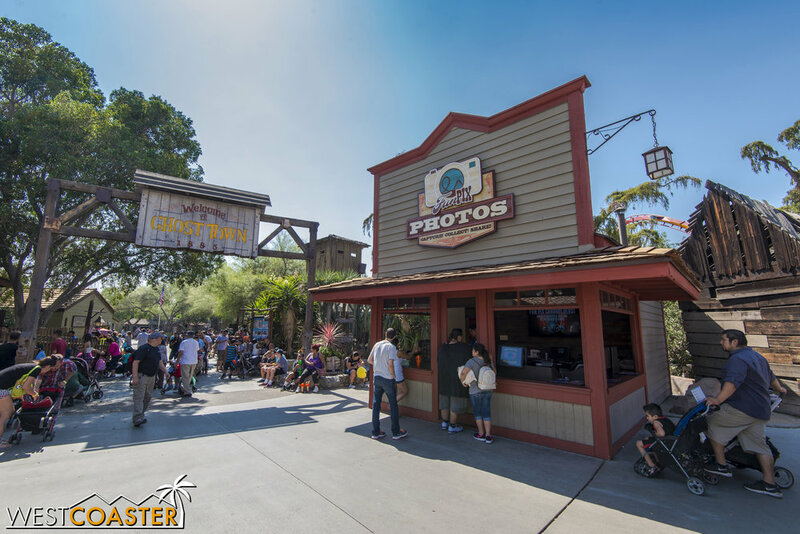 Grab some quick serve food at the Ghost Town Grub. Or sit down at the delicious Ghost Town Grill. When I first heard that the Calico Stage was being relocated from the east side of Calico Square across the tracks to the area formerly occupied by the Screaming Swing, I wondered how that would really work, since it would seem like there would be congestion caused by this reconfiguration. I failed to account for just how much room the old attraction occupied. Seeing the stage under construction now, clearly, there is plenty of space for a good Hanging crowd, or any of Knott's other seasonal marquee shows. Looking toward what used to be the Calico Stage. There it is. The new stage is by the first turnaround of Pony Express. It looks like quite a structure! The stage hasn't been fully built out yet, but it will be quite spacious when done. Looking at it from stage left. Back where the old Calico Stage used to be is a smaller bandstand and modest park area. This is where the Hoedown in Ghost Town Alive! takes place. 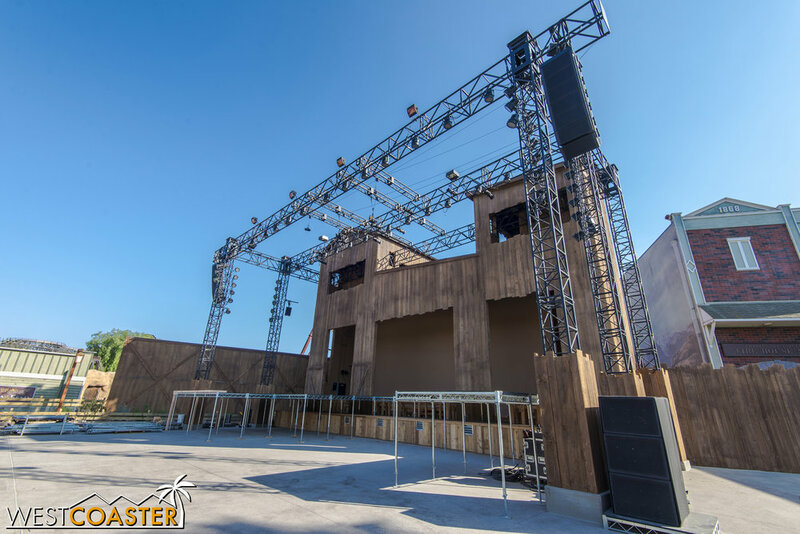 Of course, Ghost Town also offers an assortment of musical acts both inside and outside as well, which just offers more choices to pass the day. I didn't catch the name of this act, but the two singers traded terrible puns and groans in between songs. It was good old fashioned fun, though. Nice to have entertainment while eating. 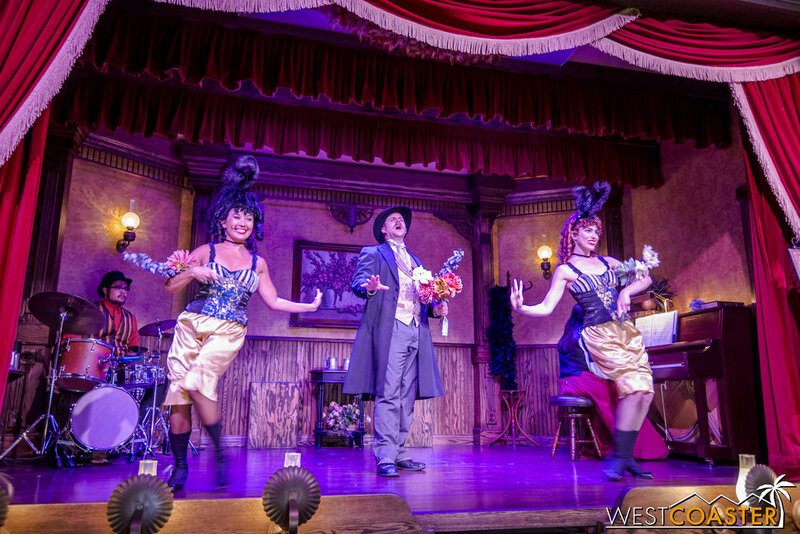 Inside the Calico Saloon, the Calico Can-Can Show runs regularly. The bar doubles as the forestage here. It is pretty much you'd expect from a saloon show. ...That is to say, family friendly and slightly racy entertainment. Of course, "racy" is more compared to a bygone era than today's standards. It's a great place to enjoy a boysenberry draft beer and take in some song and dance. And of course, the can-can girls are a hit. 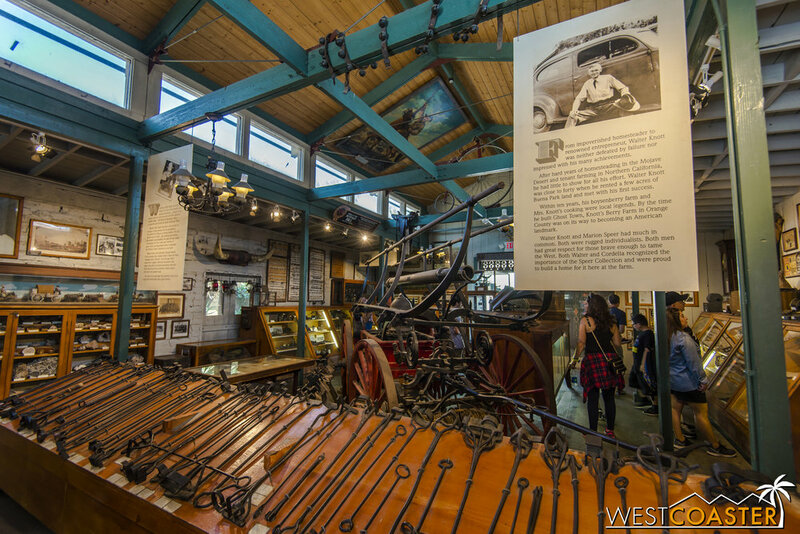 I realized that I had never really set foot in this museum of western history and memorabilia. 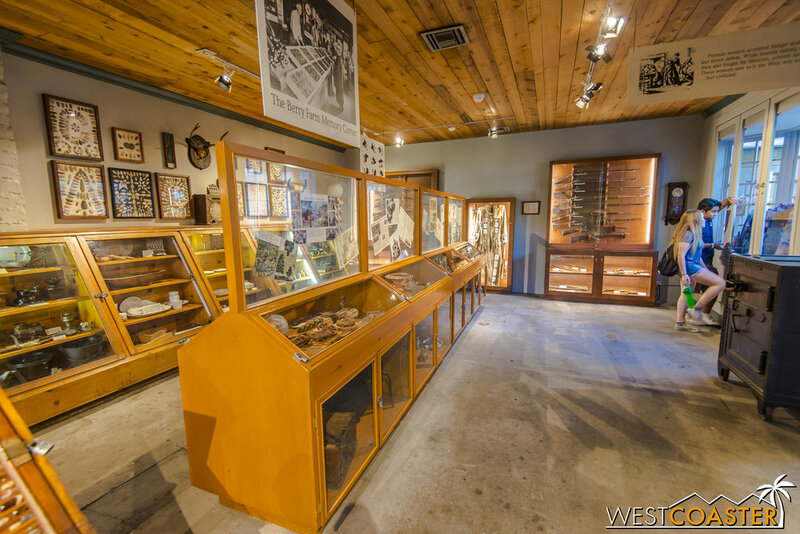 From clothing to guns to trinkets and more, this wonderful exhibit of Old West life features enough displays to warrant a good amount of time in and of itself. 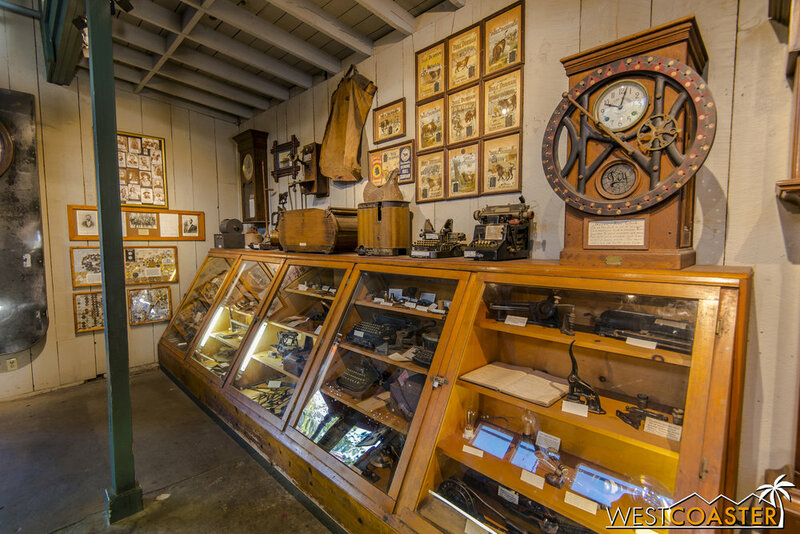 It's fantastic that Knott's can offer authentic educational opportunities such as this. That's part of the charm of the park that I remember from my own youth. Being able to see tangible evidence of how people used to live is very cool. 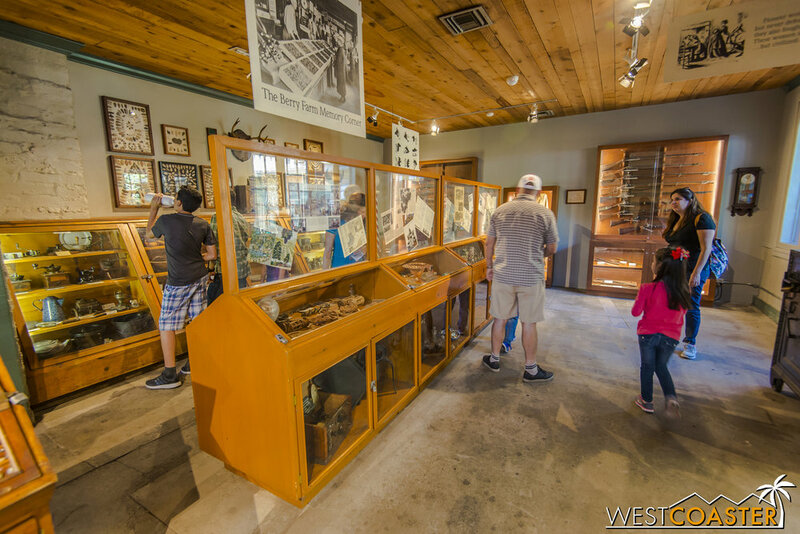 From models to tools to authentic garb to weapons to geodes to supplies, this museum really provides a thorough look at life for the western explorers and settlers. Check out all the things inside! I finally got a chance to ride the refurbished Ghostrider, and oh man, is it amazing! The ride flies and packs the same forces as it did when it first opened (and even more, since the mid-course brake run has been removed), only it no longer gives riders concussions from the roughness of an intense wooden roller coaster that never received proper downtime and more extensive refurbishment. 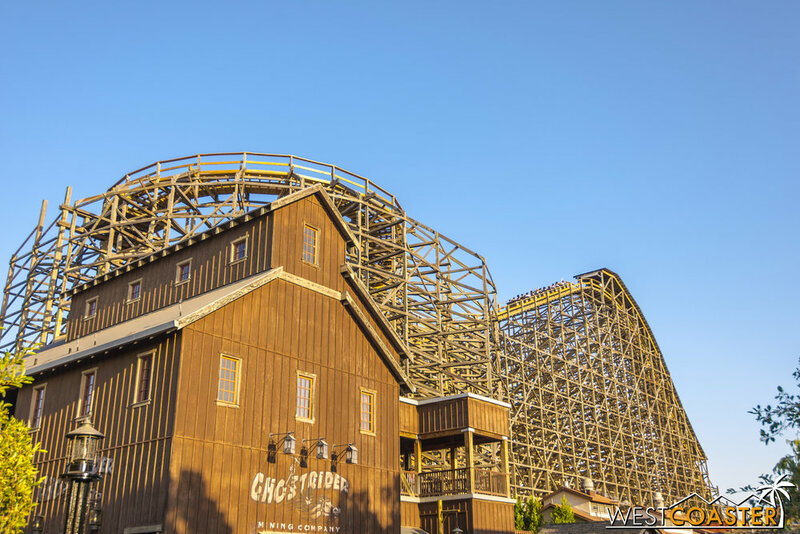 Great Coasters, International has done a fantastic job reprofiling and modernizing this attraction, and while it's no Rocky Mountain Coasters ball of insanity, I think it actually fits Ghost Town better to keep Ghostrider looking like a traditional woodie. Aesthetically, it provides a better blend, and now that the ride is running smoothly again, it's plenty breakneck for most people! Ghostrider stands, magnificent as ever. The ride really has a great visual profile from this side corner of Ghost Town. And really, just the refurbished coaster alone is worth taking a trip back to Knott's. That's before you move onto Ghost Town Alive! and the refurbished area. So that's Ghost Town in a brief nutshell. There are areas like the relocated Pan of Gold attraction (by the entrance of Ghostrider), the Calico Railroad, and the Mine Ride and Log Ride that I didn't really photographically cover--all technically a part of Ghost Town. 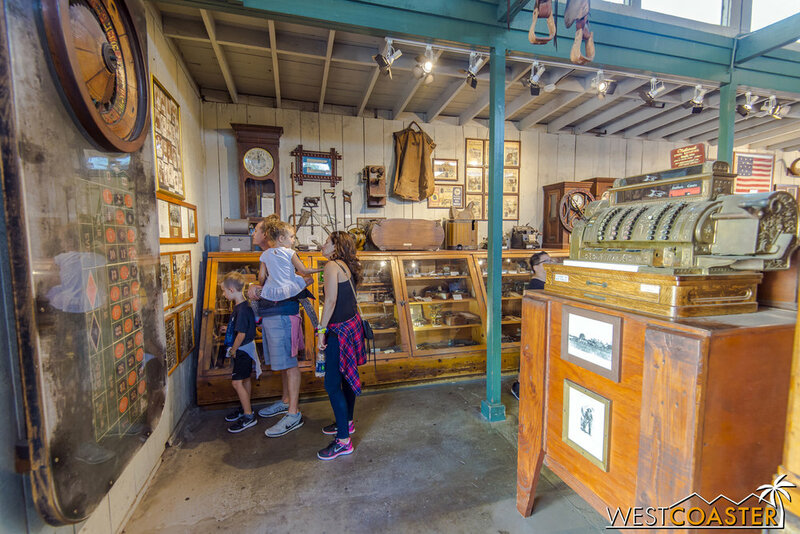 Everything looks fantastic, and now is a great time to visit the park and explore the land that made Knott's Berry Farm America's first theme park. And then when you're done, check out the rest of the park too!